Florida has long been at the forefront of the battle against addiction and the substance abuse epidemic. Battling against “pill mills”, doctor shopping, as well as the synthetic drugs has been trying, but there has been some success. Ever since local and statewide bans of synthetic drug in Florida have been enacted the drugs have become much more difficult to acquire at gas stations and convenience stores, according to an experts. Bans have reduced calls to poison control centers, there has also been a drop in visits to emergency rooms as a result of the side effects from the drugs. 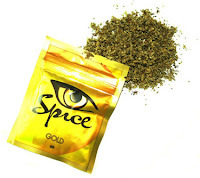 In 2011, the Florida state legislature banned a number of synthetic drugs. In December 2012, Florida Attorney General Pam Bondi signed an emergency rule banning 22 new synthetic drugs throughout the state.